Hey everyone I wanted to save this baby for last because this is my new favorite lipstick right now! 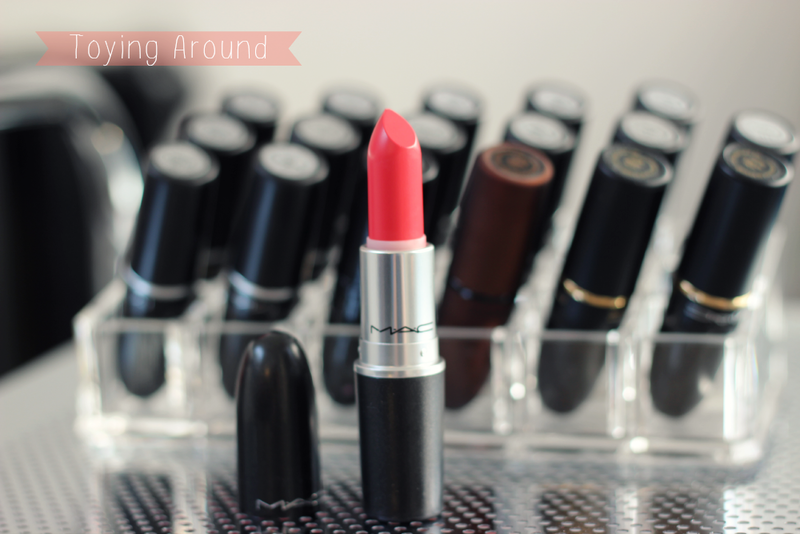 This lipstick is also from the MAC's Playland collection and this is in the shade Toying Around. It was the only lipstick that had really caught my eye from this collection so I just had to pick it up! Toying Around is considered a hot coral pink which has a amplified finish to it. 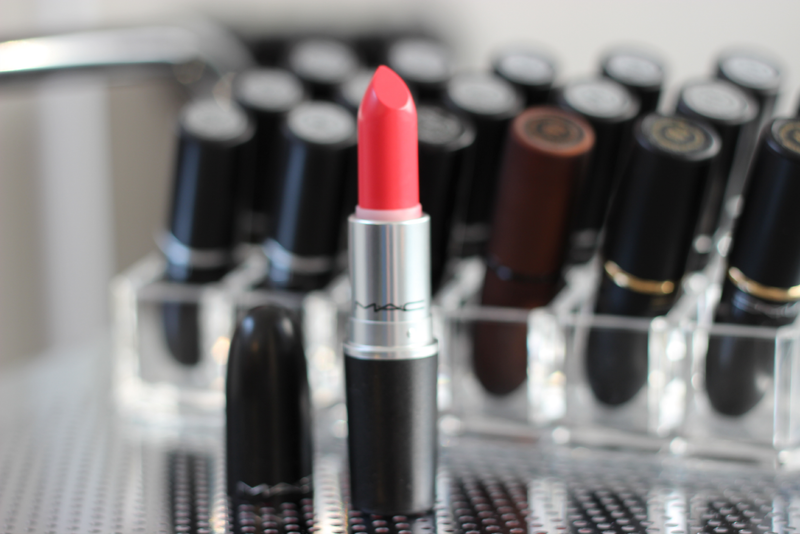 I don't see much pink when it comes to this lipstick. It is for sure a coral but I would say its more on the orange/red side verses the pink side. 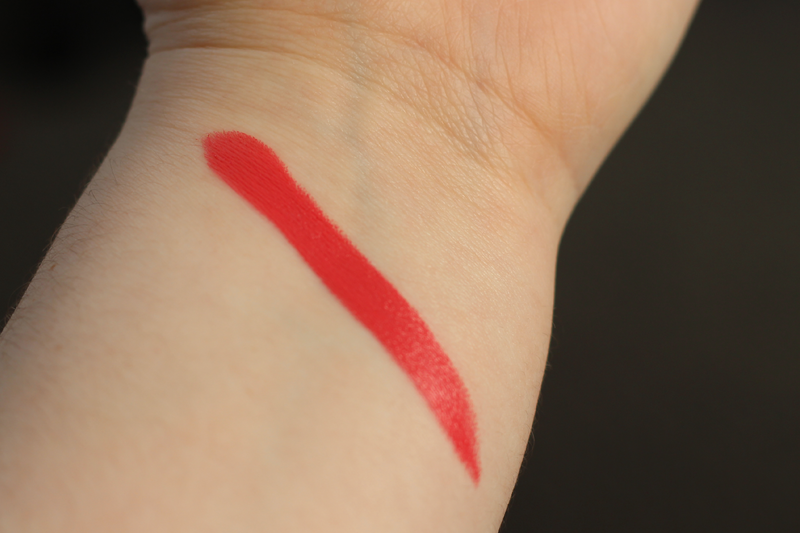 This lipstick is also very opaque and looks flawless on the lips. It is going to be that perfect shade for this upcoming summer. I would give this lipstick a A+ as well. Let me know what items you picked up from the Playland collection!